I Fell Down and a Baby Popped Out. In that order, but it took a whole day to achieve my life’s greatest accomplishment. In 1981, March 23 fell on a Monday. I took my dogs, Beowulf and Sabrina, out for an early morning walk. My mom was going to come over around noon and take me shopping — see, that’s where I get it from! It was a full week past my due date and those pesky Braxton Hicks contractions were terrifying me on a daily basis. My mom was the head RN of Women’s Surgical at a local hospital. She thought a bit of retail therapy (see what I mean?) would take my mind off of that discomfort. At that time, my son’s dad and I lived in an older part of San Diego; Hillcrest. The sidewalks were deteriorated with huge cracks and fissures. With my big belly full of Angel Boy blocking my view, I tripped and fell — not hard — but with sixty extra pounds on my normally one hundred pound frame, I was more than a little ungainly. I remember being super embarrassed for anyone to watch my feeble attempts to get up. Luckily, no one was out that early. I leaned on Beowulf (one-hundred-pounds of Akita/Husky/Wolf) who stood about thirty inches at his shoulders, and he was a sturdy support to help me up. I continued walking home — just a few blocks — and didn’t think much about my fall, but I did tell my mom when she picked me up to go to the mall. She knew everything there was to know about birthin’ babies. We stopped at a lingerie shop and she bought me a beautiful rosebud sprigged shortie nightgown. My mom instantly went into what we always called her “nursey” mode. Quizzing me non-stop about any other symptoms in a very calm voice, we cut short our shopping day (darn) and drove home. Suddenly, those Braxton Hicks contractions became the real thing. I called my doctor. It was time. All during my pregnancy, I had planned to deliver at home, au natural, with my mom as midwife. Toward the end, it became obvious that my Angel Boy was too big for that to be possible. I didn’t want that atmosphere to be the first memories implanted in my baby’s precious brain. With reluctance, I agreed that his health was more important than my hippie chick desires, and hubs, mom, and I all went to the hospital. The doc examined me, concluded that the fall had merely torn the amniotic sac and the potential for introducing bacteria was a concern, so I agreed to let him completely puncture it to speed up the process. And oh yes, speed it up it did. The mild contractions intensified. Other than the unrelenting pain, which didn’t respond to that stupid Lamaze class training, I remember my son’s dad watching “Patton” on the wall TV in the birthing room. I will always hate him for that. After being in labor all night, my mom and the doc had a consultation. Apparently, my baby had a head the size of Plymouth Rock and it was stuck. It just wouldn’t come out. I was so upset I couldn’t stop crying. I had failed my first test as a mom. So…at 9:42 a.m. on Monday, March 23, 1981, I had an emergency Caesarean Section. I was wide awake and watched it all. In the end, I guess it didn’t really matter how my Angel Boy got here. He was beautiful and healthy; 8 1/2 pounds and 21 inches. 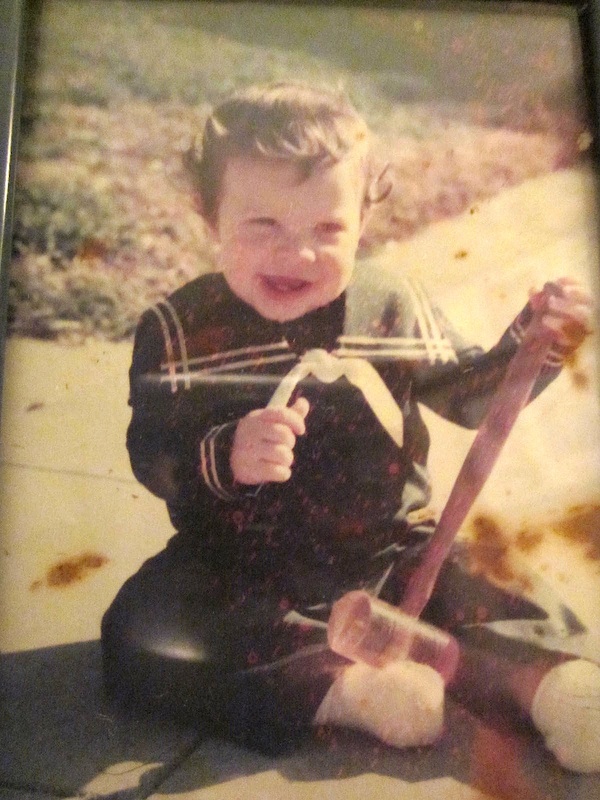 He scored a 9 on the Apgar Scale; a high achiever from the beginning! 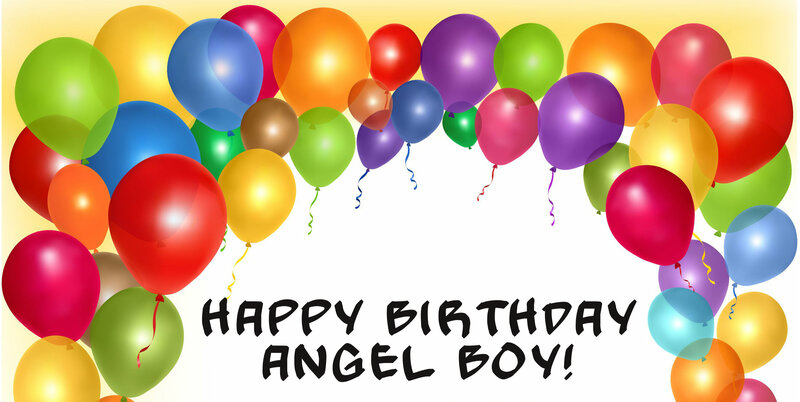 Happy 33rd birthday, Professor Angel Boy! This entry was posted in All Posts, Being a Mom and Grandma, My Enchanted Life and tagged Akita-mix, Angel Boy, Beowulf, Border Collie, Braxton Hicks, Braxton Hicks contractions, breaking amniotic sac, Caesarean section, Family, giving birth, Patton, Plymouth Rock, Pregnancy, San Diego, Sharp Hospital, the birth of my baby by Enchanted Seashells by Princess Rosebud. Bookmark the permalink. What a special day indeed! Happy happy anniversary! Thank you! I wish we were together, but he’s at a conference at NYU right now. What an adorable Angel Boy! He obviously takes after his mother in the looks department. 🙂 Hope he had a wonderful birthday and when you two get together, have fun celebrating! Thank you, except for the curly hair, he looks NOTHING like me, being over 6ft and super skinny, and emerald green eyes, but I know where he came from haha! It’s fun to read the story of your son’s birth. 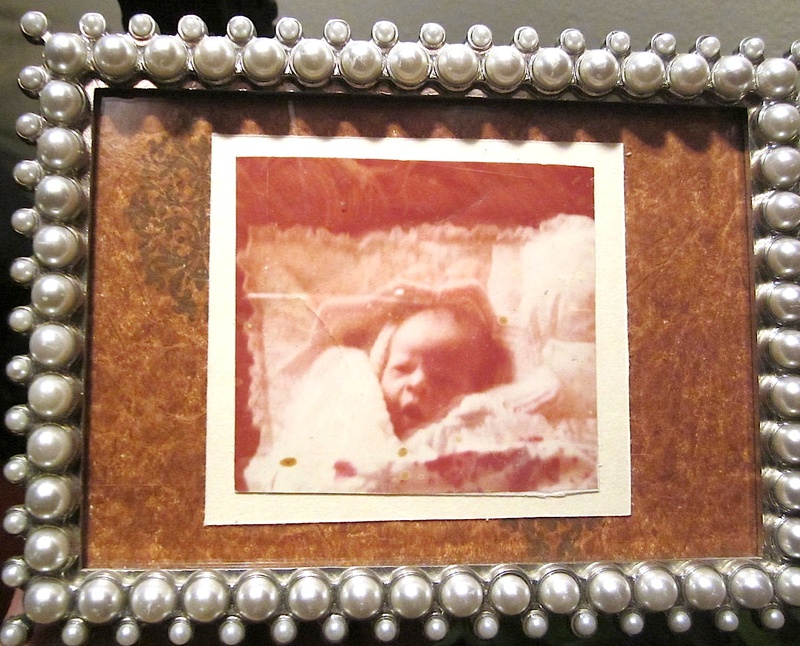 I also have very clear memories of my children’s births. I guess some special events are just engrained in our memories forever. I think mother nature made it impossible for us to forget! Happy Bday to your little Prince! What a milestone! I’m sorry to have missed you all, hub is sick with something we think he got surfing in Carlsbad 😦 sore throat, headache, but not the flu. Ew. Gross. Hope he feels better soon. I was fighting something two weeks ago. Swollen lymph nodes, stomach ache, and pressure in my head, but no fever, no cough, no sniffles… It was weird. My ‘babies’ just had their birthdays, too. 27 and 25. How does that happen? I don’t understand it, either. He’s always my sweet 4yr old to me!